One of the challenges that some students face in learning math is just understanding the vocabulary used in mathematics. Math Vocabulary Cards can help students overcome that challenge. Math Vocabulary Cards is a free iPad app designed for elementary school students. 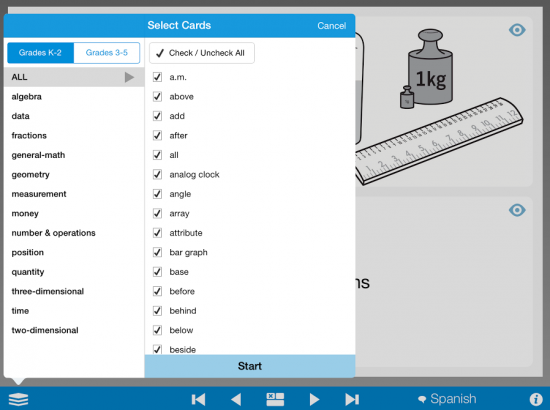 The app offers exactly what its name implies, a series of flashcards of mathematics vocabulary terms. Each card contains a term, a diagram, and a definition. By default the term is hidden and students have to guess the term based on the definition and diagram. Students can also use the cards with the definitions hidden and the terms revealed.